Simple yet riveting, The Untold Story of Emmett Louis Till articulates the madness of racism in the South of the 1950s. Combining archival photos and footage with deeply felt interviews, this documentary tells the harrowing story of what happened when a mischievous 14 year old black boy from Chicago, visiting his relatives in Mississippi, whistled at a white woman in the street. The lynching that followed was so gruesome that a media circus surrounded the trial - and what stunned the nation was not only the crime, but the blithe unconcern the citizens of a small Mississippi town felt toward the brutal murder of a black teenager. The interviews suspensefully unveil the story, moving from the viewpoint of Till's mother to the perspective of his Southern cousins to actual film of Till's uncle, who had the astonishing courage to accuse the two killers in court. Till's mother, Mamie Till-Mobley, addressed the entire country in news footage, begging that something be done so that her son did not die in vain. The awkward, un-media-savvy quality of the 1950s interviews may seem to come from another world, but the harsh truth of what happened sprang all too clearly from America's still unresolved racial conflicts. A passionate, compelling documentary. $13.165 thousand on 1 screen. In 1955, an African-American 14-year-old named Emmett Till “wolf-whistled” at a white woman in Mississippi. This seemingly innocuous action soon provoked his slaying. Sometimes seen as the event that spurred the Civil Rights Movement of the Sixties, these events become the focus of a documentary called The Untold Story of Emmett Louis Till. 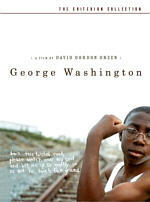 The movie covers Emmett’s birth and aspects of his life and personality as well as the restrictions of the era in which he lived. From there we find out why Emmett went to Mississippi, what he did there, and the incident that led to his murder. From there we learn about the killing itself and its aftermath, the police investigation and trial of accused killers JW Milam and Roy Bryant. The program concludes with the verdict and subsequent investigations as well as additional revelations and modern attempts at justice. For the most part, Untold offers a compelling view of its story. I like the fact that it gives us a decent glimpse of Emmett’s life and sets up the various events concisely. The film can be frank and disturbing, especially when we hear his mother discuss the issues. Mamie remained lucid and concise into her eighties, and she emerges as the most memorable and effective participant. Part of me wants to see the film as one-sided, since it so clearly looks at things from the point of view held by Emmett’s family and supporters. However, I’m not sure how else one can examine the tale. Is there anyone rational who could claim that Emmett’s murder wasn’t an abomination? In any case, even without an objective viewpoint, the narrative seems balanced and logical. It doesn’t degenerate into hysterics or manipulative emotions. It helps that the participants stay calm and focused through their interviews. There’s no sense of overwrought drama here, as they all discuss their thoughts and feelings with good clarity and detail. This makes Untold an effective documentary – at least through its first three acts. When it jumps ahead to the modern day, unfortunately, it loses steam. The elements that look at the reopening of the case tell us little and feel self-congratulatory. Instead of that, I wish Untold gave us information about how Emmett’s death affected his family and friends. I’d also like some details about how these events directly spurred the Civil Rights Movement. There’s a lot of material that took place between the trials and the present day, and the film should have explored those issues. Although the absence of such information makes The Untold Story of Emmett Louis Till feel a bit incomplete, it remains an effective glimpse of a horrific injustice. Perhaps we should view Emmett’s death as part of the greater good since it acted as a catalyst for societal change. However, Untold reminds us of the human damage done. 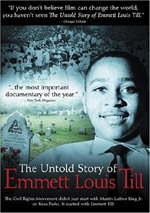 The Untold Story of Emmett Louis Till appears in an aspect ratio of 1.33:1 on this single-sided, single-layered DVD; due to those dimensions, the image has not been enhanced for 16X9 televisions. A hodgepodge of recent interviews and archival footage, Untold presented the material about as well as one could expect. In general, the modern interview shots looked somewhat soft much of the time. Sharpness generally was acceptable, but it tended toward the fuzzy side of the street and rarely developed a very crisp and detailed impression. Some jagged edges and moiré effects occurred, and I also detected notable haloes at times. The image yielded some video artifacts as well; these occasionally gave the program a moderately grainy appearance. Unsurprisingly, the archival clips were a mess. These black and white shots showed erratic definition along with lots of marks, tears, blotches and specks. I didn’t expect anything better, though, so these snippets didn’t come as a disappointment. Overall, Untold remained watchable. A lot of my concerns related to the source material, so the image deserved a “C” despite its flaws. It should come as no surprise that the Dolby Stereo 2.0 soundtrack of The Untold Story of Emmett Louis Till presented a pretty subdued affair. The major material from the side speakers concentrated on music, as the low-key score offered gentle stereo imaging. Otherwise, the mix seemed focused on the center. Audio quality appeared perfectly acceptable most of the time. Speech was acceptably natural and distinctive. The music seemed clear and well reproduced, as the tunes appeared warm and vivid. The effects were a smaller part of the mix. Still, they came across as clean and fairly accurate. Nothing special occurred here, but the audio of Untold was fine for this sort of program. A few extras round out the DVD. The biggest attraction comes from an audio commentary with director Keith A. Beauchamp. He offers a running, screen-specific conversation. Beauchamp discusses the participants and his interactions with them, the historical context and details not in the film, his interest in the subject, and various thoughts on the case. At its best, the commentary helps elaborate on the different issues. Beauchamp gives us a good feel for some background moments. However, there’s a lot of dead air given the brevity of the movie. Beauchamp goes silent too much of the time, and I think he misses many opportunities for greater depth about the subject. This is a decent commentary but not a particularly memorable one. A featurette called The Impact of the Emmett Till Case in American History and Today comes next. It runs 26 minutes and two seconds as it presents a look at the flick. Harvard Civil Rights Project research associate Andrew Grant-Thomas acts as the moderator of a discussion with civil rights attorney Jenny Lopez, Harvard Civil Rights Project director Professor Gary Orfield and Harvard Law School Professor Charles Ogletree. They look at the Jim Crow laws and the racial atmosphere in the Fifties south, reactions to the Till murder, and other racial issues like segregation. Some decent reflections appear, but there’s not a whole lot of meat here. The participants mostly speak in generalities about the way they’d like the world to work and they don’t address the history or the Till case’s impact all that well. Next we find text that describes The Harvard University Civil Rights Project. Across two screens, it tells us about the group and where we can find more information. Finally, we get Trailers for Untold as well as I Love Your Work, Protocols of Zion and Born Into Brothels. Inconsistent but generally powerful, The Untold Story of Emmett Louis Till offers a reasonably tight look at a horrible event. It’s not a terribly objective view, but it maintains more than enough veracity and depth to be worthwhile. The DVD offers average picture and audio along with some lackluster extras. This one deserves a rental due to the strength of the documentary itself.